For my first inspiration post I will have to borrow Margot Austin's (of House & Home magazine) recent post topic - Kilims. 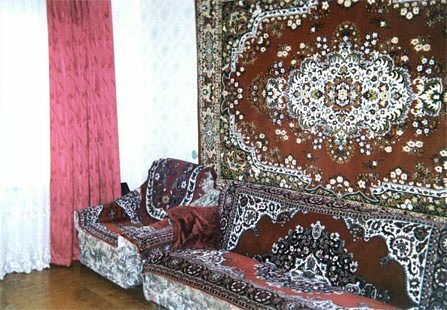 A kilim is a flat-woven rug...and there are few things more definitive of a Russian interior than a big rug displayed on a wall! 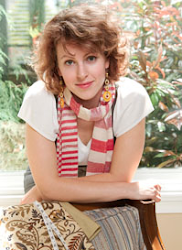 This decorating move was popularized in Soviet Russia as an efficient way to add warmth to often cold apartments. This staple of interior decoration has become synonymous with ex Soviet homes, and an element that would definitely help russ-o-fy a modern interior. 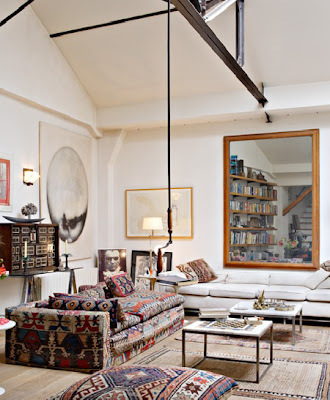 To bring this look up-to-date I would in most cases, definitely, take the rug off the wall! Lee Jofa's new fabric collections allows you to reimagine traditional rug patterns as upholstery, drapes or pillows. 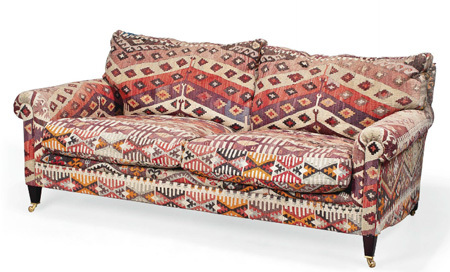 A sofa or armchair upholstered in a bold kilim pattern makes a strong statement- it is also very forgiving to stains. 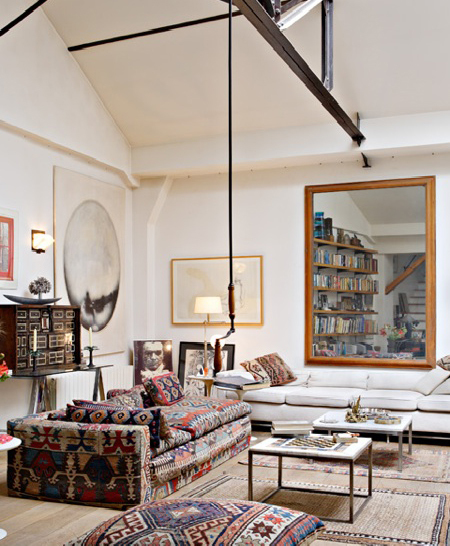 And for those who aren't as committed or adventurous, there are always toss cushions. 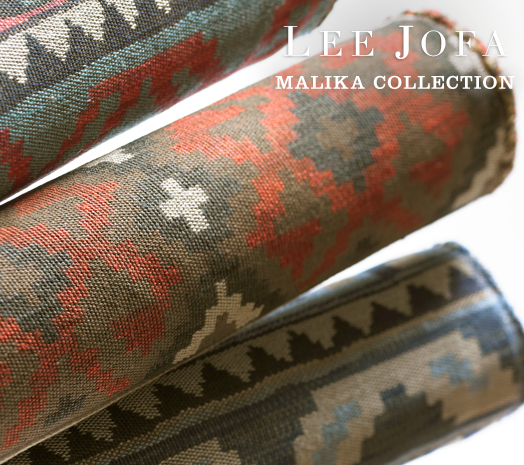 Even one of these pillows is enough to make an impact on a neutral sofa or chair. The more cushions - the more impact! Posted by Unknown at 3:52 a.m.